Social Security’s disability program is overwhelmed by so many claims that judges sometimes award benefits they might otherwise deny just to keep up with the flow of cases, according to a lawsuit filed by the judges themselves. This practice is referred to as "paying down the backlog". The Social Security Administration says the agency’s administrative law judges (ALJs) should decide 500 to 700 disability cases a year. The agency calls the standard a productivity goal, but a lawsuit filed by the Social Security Judges against the Commissioner and the Agency claims it is an illegal quota that requires judges to decide an average of more than two cases per workday. He is still blaming the judges, asking for more money, more judges, and more time to reduce the backlog. Since 2007 the number of judges has gone from 1200 to 1500 and the backlog continues to grow. And Mr. Astrue continues to make excuses. Mr. Astrue wants to have it both ways. "I find it interesting that there is so much wringing of the hands about a judge who pays almost 100% of his cases, as if the agency didn't know about it, as if the agency wasn't complicit in it, as if the agency didn't encourage it," said Marilyn Zahm, a Social Security judge in Buffalo, NY who is an executive vice president of the Association of Administrative Law Judges (AALJ), the judges' union. It is a bit surprising that Judge Zahm would be so out-spoken, considering the minimum amount of work she does and the large amount of money she is paid. 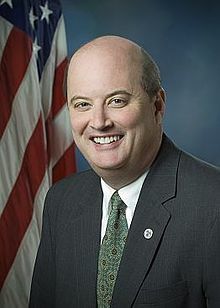 According to Social Security records Judge Zahm issued only 26 decisions for the 9 months between September 2010 and June 2011. At a salary of $167,000.00 per year, she earned $6,423.00 per decision. An average hearing lasts about 30 minutes; so, her hourly wage for that period was about $12,846.00. That is a nice salary for so little work. These statistics came from an SSA report which contains raw data from SSA's Case Processing and Management System without regard to the amount of time Administrative Law Judges devote to actual adjudication. In other words, factors which would affect the number of dispositions (e.g., management and administrative responsibilities, special assignments, part-time status, union representational duties, retirements, deaths or extended leave, etc.) have not been taken into account. Here is what Commissioner Astrue is failing to say. The 1500 SSA ALJs earn approximately $167,000 a year each. The salaries of those ALJs is $2 billion 505 million a year. That figure does not include the about $3 billion a year which pays the salaries of the ALJs support staff and Commissioner Astrue's salary and that of his support staff. Also 20% of the ALJs do not hold any hearings. Some ALJs decide 200 cases per month without holding hearings. They award benefits in 100% of their cases, trying to "pay down the backlog" like the judge in Huntington, W.Va., who awarded benefits in every case he saw in the first six months of fiscal 2011. Just 4 years ago in the middle of the economic downturn there were 1200 ALJs. Today there are upwards to 1500 according to Michael Astrue. The backlog of cases waiting to be heard has not decreased, despite pressure from Mr. Astrue to force the ALJs to "pay down the backlog". Yet, Mr. Astrue kept hiring more judges at $167 thousand a year. Former Commissioner Astrue could be vague in his testimony before Congress. We can be specific as to who the ALJs are and how many cases they decide each month and their reversal rates. A court-by-court analysis of close to two million Social Security Administration (SSA) claims has documented extensive and hard-to-explain disparities in the way the administrative law judges (ALJs) within the agency's separate hearing offices decide whether individuals will be granted or denied disability benefits. The lawsuit was filed by the AALJ and three judges on April 18, 2013 in Federal District Court in Chicago. It names the agency and Acting Social Security Commissioner Carolyn Colvin as defendants. Colvin took over in February after Commissioner Michael Astrue’s six-year term expired. In an interview, Former Commissioner Michael Astrue disputed the union’s claims. ‘‘There are a very small number of malcontents who want to litigate or put political pressure on the agency rather than do their work,’’ Astrue said. The union represents 1,400 administrative law judges. Its lawsuit describes a disability system in crisis. About 3.2 million people applied for disability benefits last year, a 25 percent increase from a decade before. Claims have increased in part because of aging baby boomers. As people get older, they become more prone to disabilities. Disability claims also typically increase when the economy sours. Some people who manage to work despite their disabilities get laid off and apply for benefits, while others apply out of economic desperation. When people apply for Social Security disability benefits, their cases are initially reviewed by the State Disability Determination Service (DDS), which reject most claims. If your claim is rejected, you can appeal to an ALJ. But the hearing process takes an average of 373 days — a little more than a year — according to agency statistics. Astrue said the average processing time for a hearing peaked at 542 days shortly after he took over the agency. He said public outcry over the "backlog" led him to adopt productivity (that is, assign quotas) standards in 2007, which helped reduce the wait time (that is, forced ALJs to "pay down the backlog"). The hearing process, which is closed to the public, is different from a civil lawsuit or a criminal trial. There is no lawyer for the government. Instead, judges are expected to be impartial decision-makers while protecting the interest of taxpayers and ensuring that applicants get fair hearings. Most applicants have legal representation by the time their claim results in a hearing. Frye said he has never awarded benefits just to clear a case faster, and he couldn’t name any judges who have. The lawsuit says case quotas violate judges’ independence and deny due process rights to applicants. The lawsuit alleges that ALJs are expected to meet their quotas, regardless of how complicated their cases are, even though many case files exceed 500 pages. ALJs have been disciplined for missing the quota, including receiving formal reprimands and facing removal proceedings, according to the lawsuit. Nearly 11 million disabled workers, spouses and children get Social Security disability benefits. That’s up from 7.6 million a decade ago. The average monthly benefit for a disabled worker is $1,130. 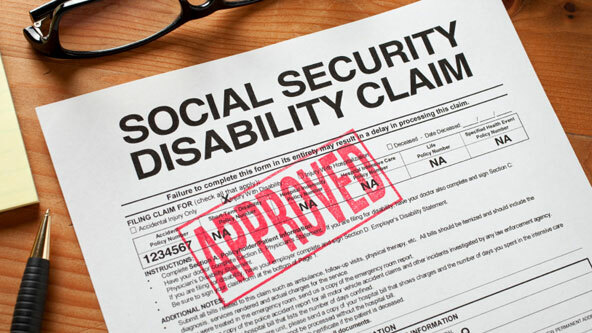 In 2011, Social Security disability paid about $129 billion in benefits. Judge Daugherty in the Huntington West Virginia Hearing Office paid 90+% of of his cases and processed 80 to 100 cases per month, mostly without holding hearings. When he held assembly-line hearings, they lasted no more than 15 minutes each. The Office numbers looked good to the Commissioner of Social Security. But the other ALJ who held 8 hearings a day of an hours duration each could only produce 20 decisions per month. He did not help to "pay down the backlog" and make the Office look good to the Commissioner; so, he was investigated and maybe brought up on charges for time and attendance violations. ALJ Daugherty was rewarded and the other ALJ was punished. That was what the Social Security System wanted and condoned and that is how the System worked until complaints from disgruntled staff members led to a Congressional Investigation. 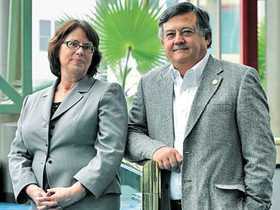 Judge Daugherty is not a 'Lone Ranger'. Other ALJs in other Hearing Offices are doing the same thing. They are paying down the backlog.